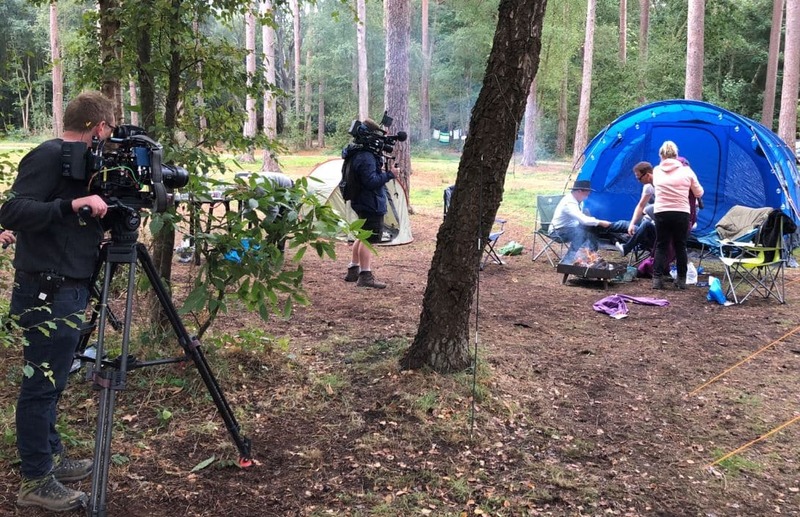 Five celebs have been ‘camping it up’ at Burnbake for a new Channel 5 series – Celebrity 5 Go Camping. 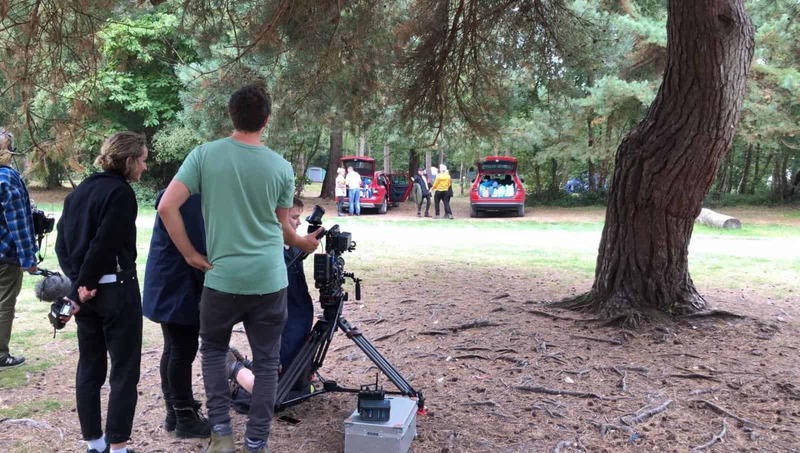 The famous five spent four days filming at Burnbake whilst enjoying Dorset’s great outdoors. 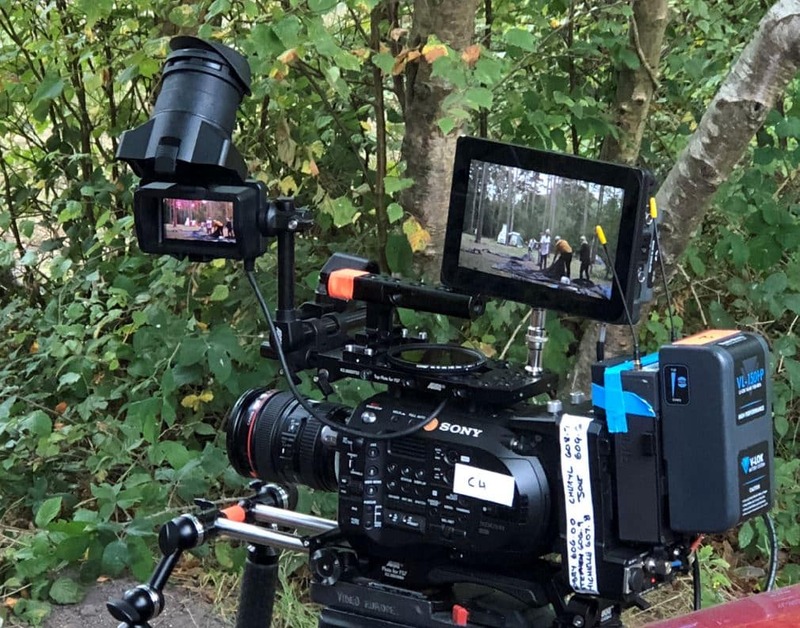 The intrepid five were impressionist Bobby Davro, former Eastenders actors Michelle Collins and Joe Swash, singer Cheryl Baker and comedian Stephen Bailey. The celebs have been building their own tents, sleeping under the stars in tipis at Cleavel Point, cooking outdoors and learning bushcraft. 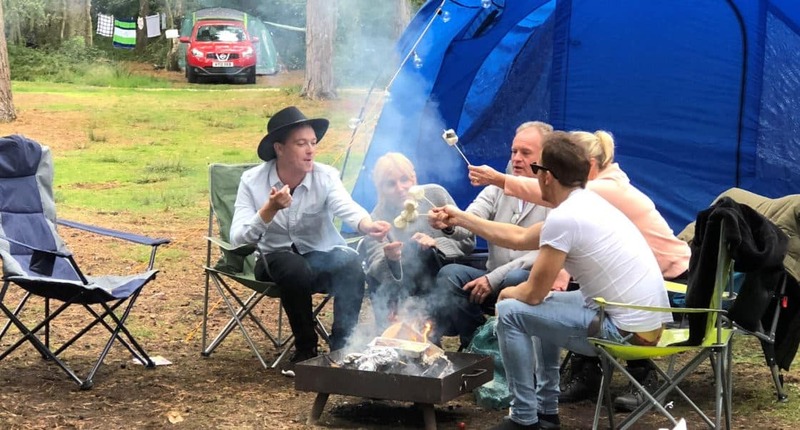 But to sweeten them a little they also spent a couple of nights in one of Burnbake’s luxury forest lodges – partly to celebrate Bobby’s 60th birthday. The five were also out and about in the Purbecks, enjoying gin tasting and a ride on the Swanage Railway. Other guests on the campsite were able to watch the antics of cast and crew and chat with them. Burnbake’s general manager, Chris Wyburgh, said: “It has been delightful to have the celebs here.